Any returned books postmarked after the 14 day return period will not be refunded. Customers may cancel their order at any time, but full refunds will only be granted if cancelled prior to shipping. Once an order has shipped, shipping and handling charges are not returnable. Please allow 4 to 14 business days to process a refund. Depending on the date of purchase, customers will receive their refund either as a credit back to their account or in the form of a cashier's check. Please note: Bulk orders placed at a volume discount in excess of 25 copies or more are non-returnable. 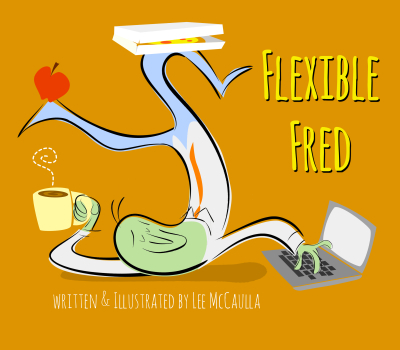 If you purchased your copy (copies) of Flexible Fred in a physical bookstore or other retailer and wish to make a return, you must abide by that store's return policy and return the book directly to them. Any books purchased at a retail store that are accidentally returned to the publisher will not be returned and refunds will not be granted under any circumstances. Customers who purchase the Flexible Fred AudioBook must abide by the return policies for CD Baby . Bicycle Press does not process refunds for AudioBook sales. Please contact the CD Baby customer support department in regards to your issue.